Nick Calathes nearly produced a triple-double on Friday to lead Panathinaikos to an emphatic Euroleague win over Anadolu Efes at home, after Olympiakos suffered a bad home loss to Barcelona on Thursday. The Greens put an end to a three-game losing streak to beat Efes 88-75 for their ninth win in 21 matches. 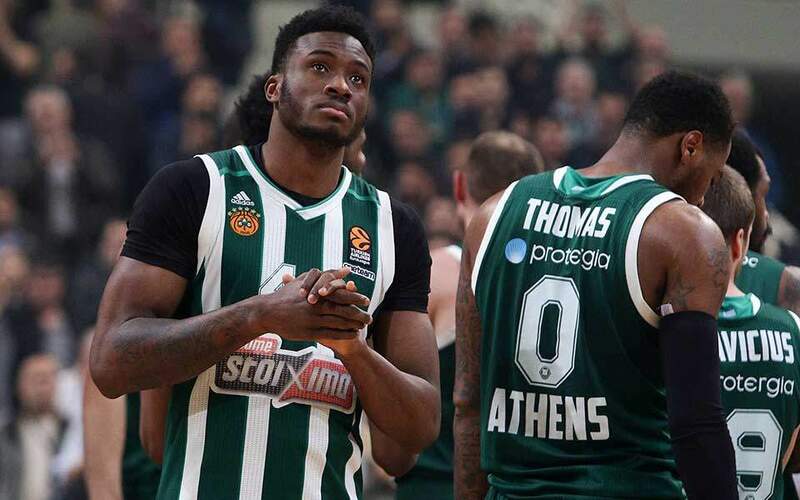 Panathinaikos reminded its fans of the team that was impossible to lose at home in previous years, beating the Euroleague’s fourth team with a solid performance in a game where victory was absolutely necessary for the Greens to stay in the running for a play-off spot. Brimming with confidence, the Athens giant led by as many as 19 points (57-38) early in the third period producing some spectacular plays and putting up a great defense. 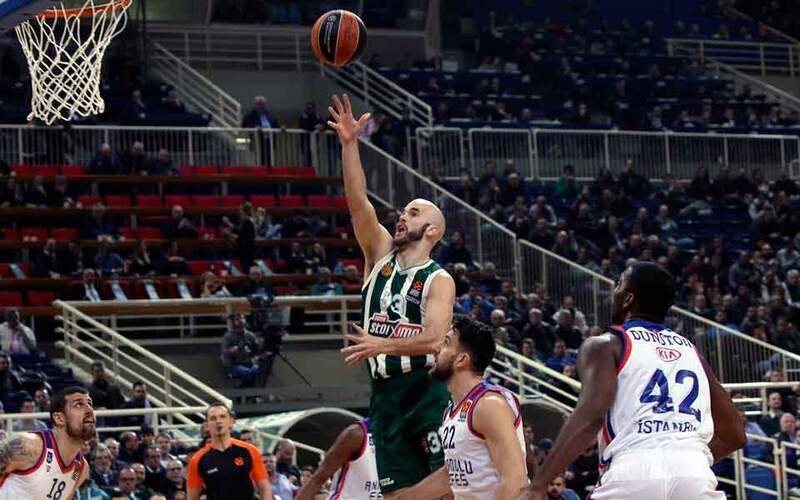 Even when Efes reduced its arrears to two points (63-61), Panathinaikos had the answer with Calathes and James Gist offering precious points to decide the game for the six-time European champion. Calathes, who earned a standing ovation just before the end, scored 20 points, distributed 13 assists and collected eight rebounds in 35 minutes. “I’ve coached players like Magic Johnson, Larry Bird, Isiah Thomas and others. 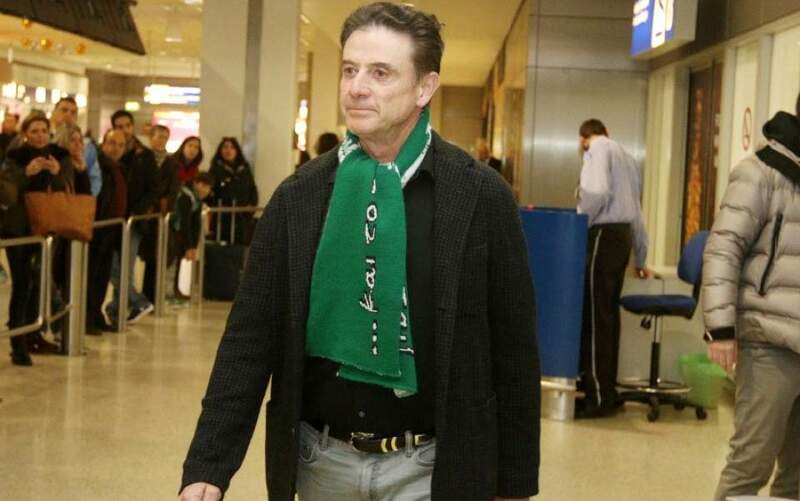 Nick Calathes is the best passer I’ve seen in my life,” said Panathinaikos coach Rick Pitino. DeShawn Thomas made 14 points and Sean Kilpatrick added another 13 for Panathinaikos. Olympiakos, on the other hand, played one of its worst games this season to lose 76-55 at home to Barcelona. The result does not only mean the Catalans are now level on points with the Reds, but they also enjoy a superior head-to-head record as they beat the Piraeus team by 21 having lost by nine in Spain last fall. The injury to influential Costas Papanikolaou, who only managed to stay on court for a couple of minutes, meant Olympiakos was deprived of its best player. The terrible start for the hosts in the game meant the first quarter ended with Barcelona leading 27-6. The Reds never really got to recover from that, despite a decent effort in the second quarter that brought the distance down to 10 (38-28). Barcelona pulled away again in the second half to score an easier win than even its own fans would have anticipated, as the Reds had exceptionally or shooting rates. Nikola Milutinov and Janis Strelnieks scored 13 points each for Olympiakos, that is on a 12-9 record now. 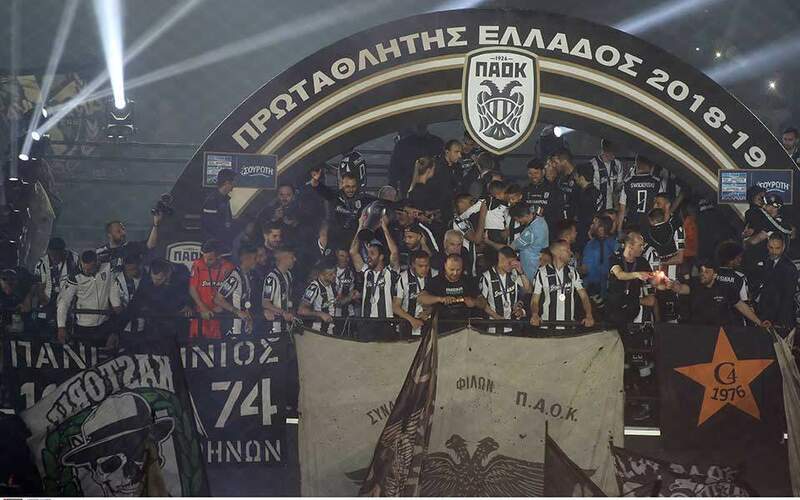 In the Basketball Champions League AEK won 84-65 at Lietkabelis, PAOK downed host Fribourg 84-64 and Promitheas Patras went down 82-69 at home to Neptunas Klaipeda. A 4.1-magnitude earthquake shook the area southeast of the village of Dimitsana, located in the region of Arcadia in the central Peloponnese on Thursday afternoon.